For 3/8-16 rod, 5/16X2-1/4 Inch HangerMate anchor - Each. Our line of Erico® Electrical and Datacomm Fasteners are perfect for those big contractors running thousands of feet of cable. Or someone just doing a few home improvements. Whoever you are, Erico® Electrical and Datacomm Fasteners are the right choice for you. 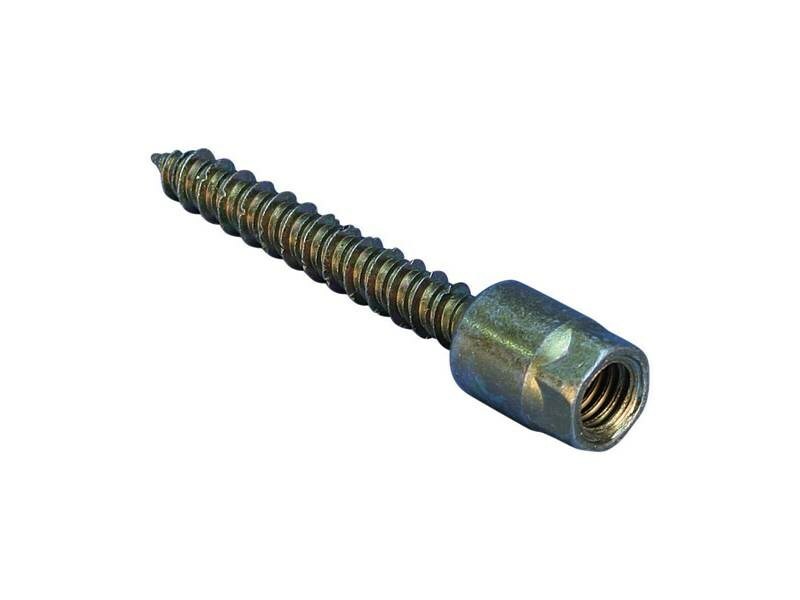 The HangerMate® threaded rod anchoring system provides easy vertical or side-mounted installation of 3/8-16 or 1/4-20 threaded rod in wood, steel, and concrete. The anchors can be installed with a standard drill eliminating the need for elaborate powder-actuated tool systems. Only the concrete application requires a pre-drilled hole. The drive sleeve conveniently fits over the drill bit to minimize handling and installation time.